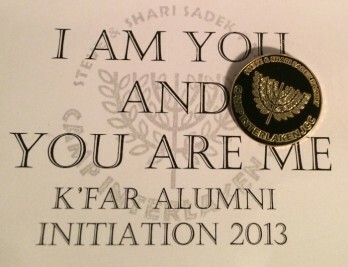 Meet the newest inductees to the Interlaken Alumni Association, K’Far Noar 2014. This special initiation program began just a couple of years ago when we stopped to think about how it feels to be in K’far Noar and know that this is your last summer as a camper. We wanted to help campers know that their “Camp Story” doesn’t necessarily have to end here – whether or not they ever do or don’t return to Camp. We want their Camp Story to be a part of their journey: their Jewish journey, their life journey, their friendship journey. Not only was it important for us to emphasize this point, we wanted to help transition the campers to alumni and have them join a very special and elite group of people known as Interlaken Alums! To sum up the initiation program, a K’far Noar counselor or Unit Leader helps lead an activity mid-week where he/she shares his/her “camp story” with the K’farnicks, encourages them, and gives them time and materials to write their own camp story with an ellipses at the end to show that it shall continue in some capacity. Later on that week, after Havdallah, the K’far Noar campers return to K’far for a campfire where they are met by two Interlaken alumni who help facilitate this transition while sharing their own Camp Story. The campers then volunteer to share their camp stories if they’d like to, and it is often a night filled with tears, laughter and songs. Midway through the campfire, the campers are all presented with an exclusive Camp Interlaken Alumni pin and were assured that wherever life takes them, camp will always be in their heart; they should strive to make camp a part of their lives forever. We are so happy to have started this meaningful tradition. 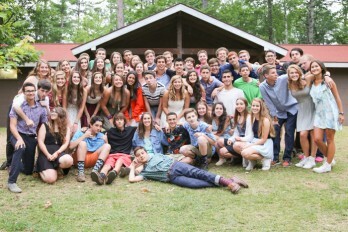 It is so impactful to actually listen to how Camp has affected the lives of the campers, staff and alumni. It also has an incredibly profound impact on the staff as it validates that they made a much better choice spending their summer at Camp than in an internship! 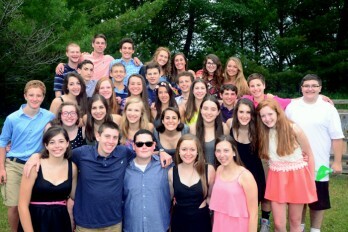 Would you be interested in leading one of the K’Far Noar Alumni Initiations this summer? The dates for this summer’s initiations will be Saturday, July 11th (First Session) and Saturday, August 7th (Second Session). Of course, you would be invited to join us for the entire Shabbat weekend along with your family. Please contact Jonah at jwagan@jccmilwaukee.org to get involved! A huge thank you goes out to our past K’Far Alumni Initiation leaders.